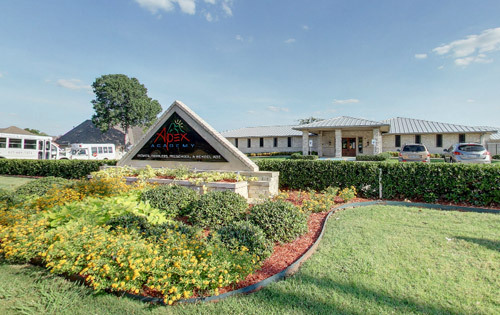 Apex Academy offers high quality Infants, Toddlers, Preschool and School Age programs for the families of the Keller and North Richland Hills area. We offer Infant and Toddler care for children beginning at the age of six weeks old as well as private Preschool programs utilizing the A Beka curriculum for children ages two-five . We also offer before and afterschool care for school aged children in Kindergarten- 6th grades (as well as transportation to many Keller ISD, and Birdville ISD schools). During the summer months, and public school breaks, we offer full day care with lots of planned field trips, special activities and swimming for the school aged children. Our programs are uniquely educational… and fun! Our Preschool programs are Christian based and include Bible, Spanish, Music and Computer classes in addition to our Kindergarten readiness daily instruction. Come visit us for a tour today and find out how your child will benefit from our programs! We make sure that each of the classroom environment contains learning materials that invite children to engage in learning activities, sensory experiences, and language development. Our teachers guide and direct the children to cultivate hand and eye coordination, concentration, motivation, self-discipline, and an enthusiasm for learning.